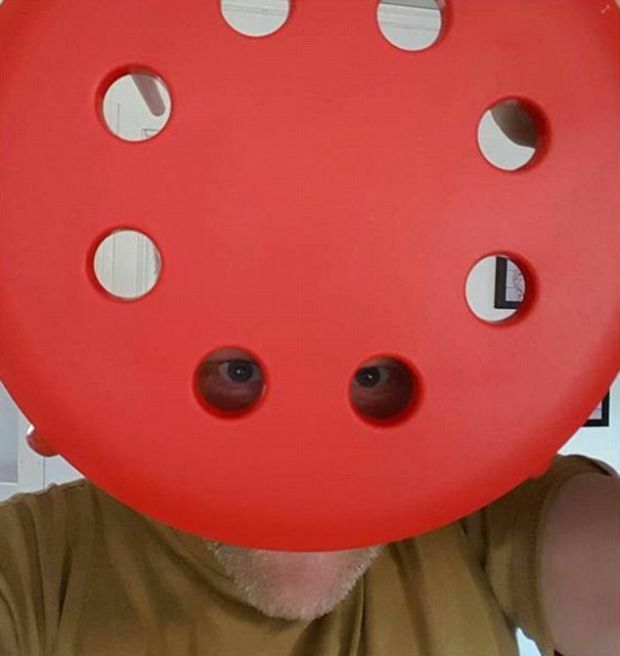 When this guy tried out his new IKEA chair he unfortunately found himself balls deep in an awful situation. 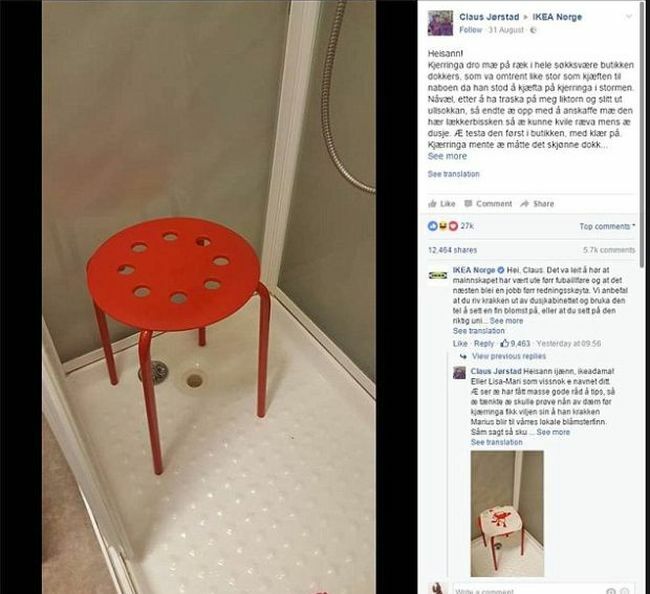 Claus Jørstad, 45, purchased this Marius chair for showering because he had a knee injury. The chairs design had some holes in the seat and while they look nice they, they proved to be a tricky trap for Claus. 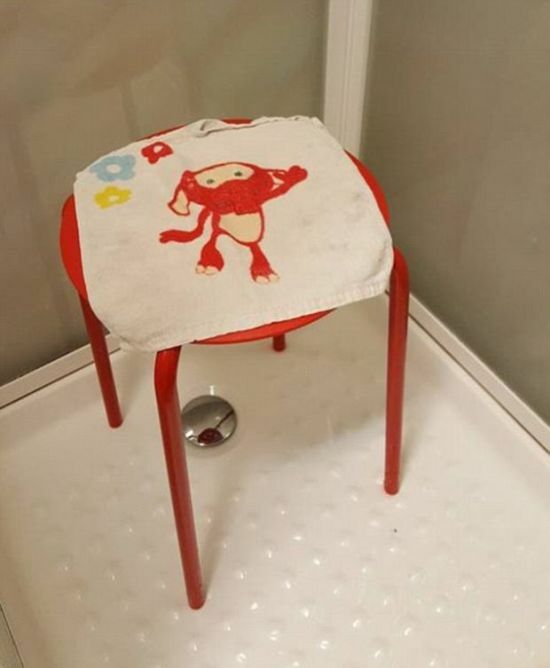 When the Norwegian man was sitting down showering, one of his testicles fell through a hole in the seat and became enlarged due to the hot shower water. "Sitting there I noticed the accident, I bent down to see what the f*** happened, I realized the little nutter has gotten stuck," Jørstad said. " As I couldn't move, I started pondering how I was gonna get outta the mess. Finally, I realized I had no bloody ideas. But by then the water had turned colder than my mother-in-law’s smile when I married her daughter." "In despair, I reached for the hairdryer to keep warm while trying to come up with an escape plan, and that’s when I realized I had gotten loose from the seat. I was a free man." He believes the cold water made his testicle shrink, allowing it to pop back through the hole. 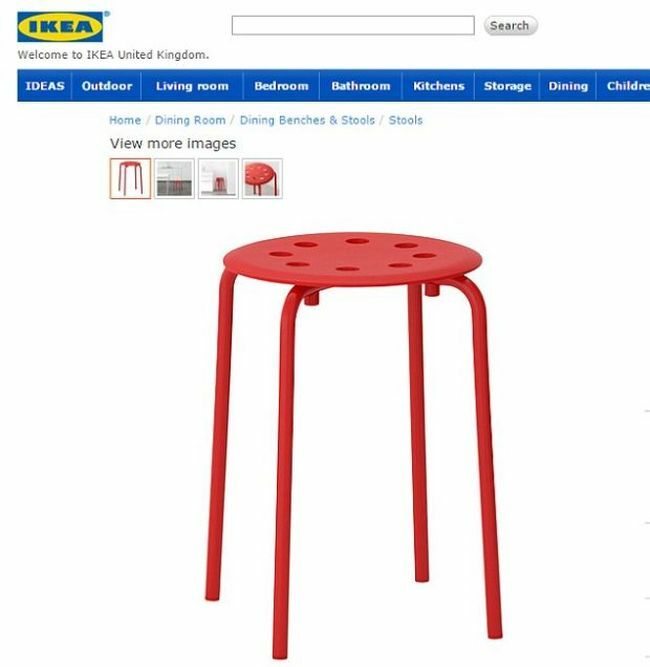 Claus shared this story with IKEA and it went viral. In the end Claus said he did not suffer any injuries apart from his "stomach muscles hurting from laughter after reading comments".